​Pumpkin doesn't have to be exclusive to Autumn - ​and since there's ​so many great ​health benefits​ ​why not treat your dog all year long? ​Did we mention that these ​recipes are super easy to make, and are great for humans as well! So we won't judge you if you steal some of your dog's treats... promise. Why feed your dog Pumpkin? ​Pumpkin is nutrient rich and loaded with health benefits that help improve eye sight, immune system, skin and coat health, ​and urinary health. But the most sought out benefit is in it's fiber, which helps ​regulate digestion. Vet's will often recommend serving a little pumpkin to dogs suffering from constipation or diarrhea. 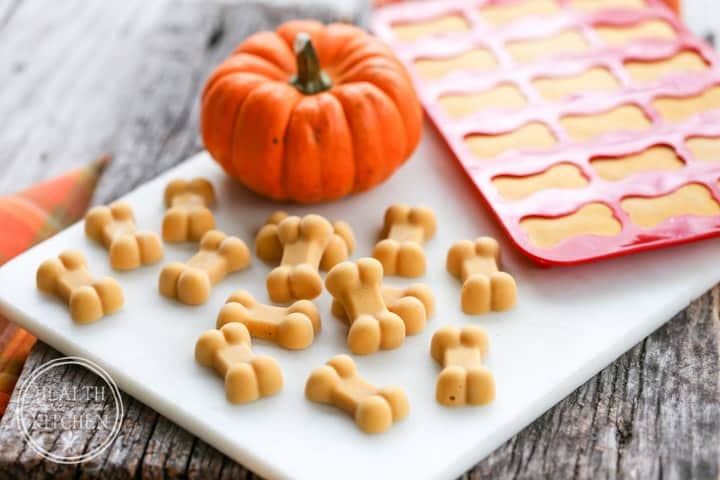 ​Not only do these pumpkin treats look amazing, but they have a healthy boost of salmon oil. Hayley from Health Starts in the Kitchen ​create these specifically to treat her dog's itchy skin that tends to arrive with the dry fall/winter air. So if you're looking for an easy treat with health benefits then this is your best bet. ​Click here for this recipe. ​Looking for something extra-easy? With just 4 delicious ingredients and about 15 minutes of your time you can have some pretty amazing treats that are great for dogs, humans, kids.. or most other creatures. ​Alshea has baked up some amazing treats to spoil her 3 dogs. If you would rather bake with some love then this is for you. 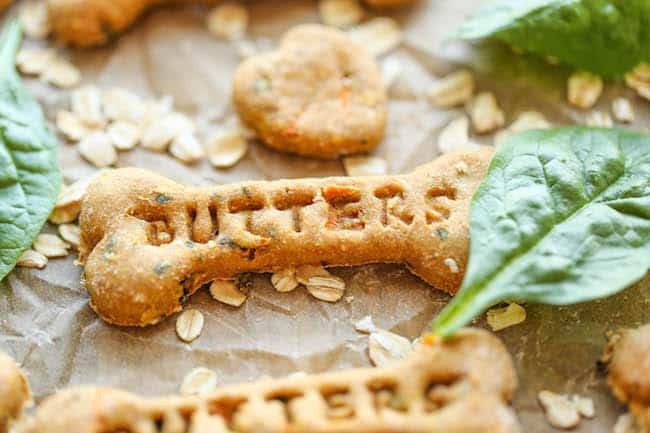 Using all healthy ingredients, a little pumpkin (of course), and a touch of cinnamon - your dogs ​will enjoy their new favorite cookie recipe. ​​The peanut butter, pumpkin, coconut oil combo is a triple threat that your dog will go nuts over. Best of all - it's all healthy stuff so you don't have to feel bad about over indulging your fur babies a little. Also, if your dog has a wheat allergy, swap out the wheat flour for something a little easier to digest like rice or coconut flour. ​Looking for something even easier to make? ​Miss Molly has you covered with her peanut butter pumpkin treats. A little pumpkin puree, PB, and flour. Bake for 10 minutes. Done. But don't forget to cut these out into cute shapes to impress your dog. ​This might be similar to some of our other recipes - but ​it does away with flour and goes for an extra healthy dose of Oatmeal. But don't worry, these treats are just as easy to make, and has a little extra boost of fiber with it. ​These beautiful biscuits ​are packed with all sorts of healthy stuff - like spinach, carrots, zucchini, and of course a little pumpkin. These treats really have it all, and are absolutely perfect for spoiling your fur baby in the healthiest way possible. 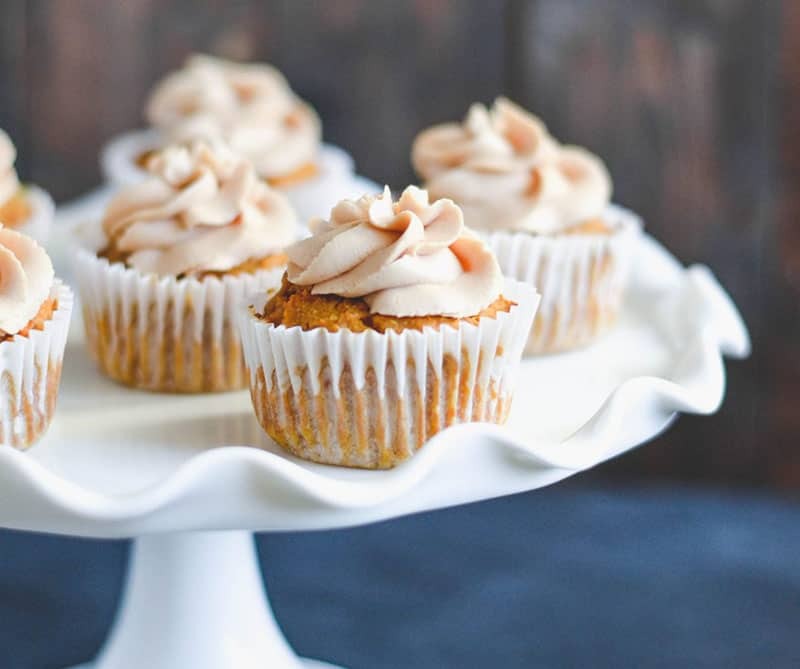 ​The ​famous Pinch of Yum even made their own pumpkin treat recipe, and it looks fantastic. What I love is they always include a recipe video to make cooking even easier. Not to mention, these treats are glazed in coconut oil or healthy fats - to give a nice omega boost for your dog's health. Love it! ​But Wait - There's More! ​Looking for more treat ideas? We ​got you covered. 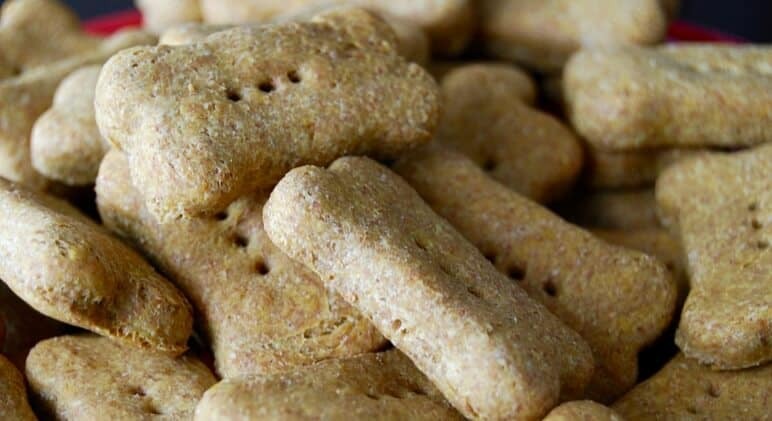 Check out our Grain-Free dog treat recipes! Also, if you're looking for more special ingredient recipes, we have some easy home-made Coconut Oil treats. Thank you for these healthy pumpkin dog treat recipes, I will be sharing this page with my friends and family.